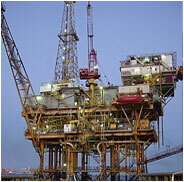 Asher Energy Inc specializes in the preparation of Field Development Plans (FDPs). Based on dynamic models supplied by Operating Companies, Asher Energy Inc. will assist in the preparation of field development plans giving well count, well types, well targets and trajectories, production rates, estimated recovery factors, development scenarios, facilities and development costs. Development plans will be provided as reports and presentations in the format as required by local approval agencies. Asher Energy Inc has a team capable of carrying out petrophysical analyses on well and associated data as supplied by Operating Companies. Typical deliverables for such a study will be a suitable integrated geosciences, land, engineering and petrophysical solutions for the PC desktop such as Geographix based interpretation in the form of a series of log curves and summary tables indicating calculated porosities, phase saturations, contacts, net-to-gross, etc plus report and presentation. Asher Energy Inc can help with the creation of static geological models based on seismic and well data as supplied by Operating Companies. Typical deliverables for such a study will be a Geostatic -based geological model (like Petrel) plus a detailed report and presentation. Asher Energy Inc Engineers can also help create dynamic reservoir simulation models based on geological models, well and production data as supplied by Operating Companies. Typical deliverables for such a study will be a fully history matched dynamic -based simulation model (like Eclipse data) deck plus a report and presentation detailing input data assumptions. Asher Energy Inc. involves in other ad-hoc studies such as decline curve analyses, material balance studies, preparation of data gathering recommendations, work-over justifications, geo-mechanical studies, de-bottlenecking studies, production technology studies, vertical lift calculations, well and reservoir off take rate evaluations (effect of increasing well rates on parameters such as recovery factor and sand production), well performance reviews, reserves reconciliations, etc. During the course of performing studies as outlined above, senior Asher Energy Inc. staff will be expected to train and mentor a team of Operating Companies professionals in the use of the technical software and interpretation and evaluation methods. Asher Energy Inc. will provide short weekly reports indicating progress of the work in addition to reports and presentations at project milestones and at completion of the project. Operating Companies will typically provide all major software, work stations, office hardware and office location for the consultancy staff working on these projects.